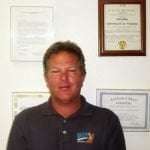 Brett Shelton, Brett Shelton Roofing, Santa Cruz, CA | Fortress Financial Services, Inc. Some tax relief companies are just out to get your money. That is absolutely not the case with Fortress. Not only is the Fortress staff excellent at resolving back taxes, they are very personable and they truly care about their clients.